Late last week I had a meeting at Dungbeetle River Lodge on the Sundays River in Colchester. The owners always have lekker snacks and lunch lined up when we have a meeting there and this time was no different. 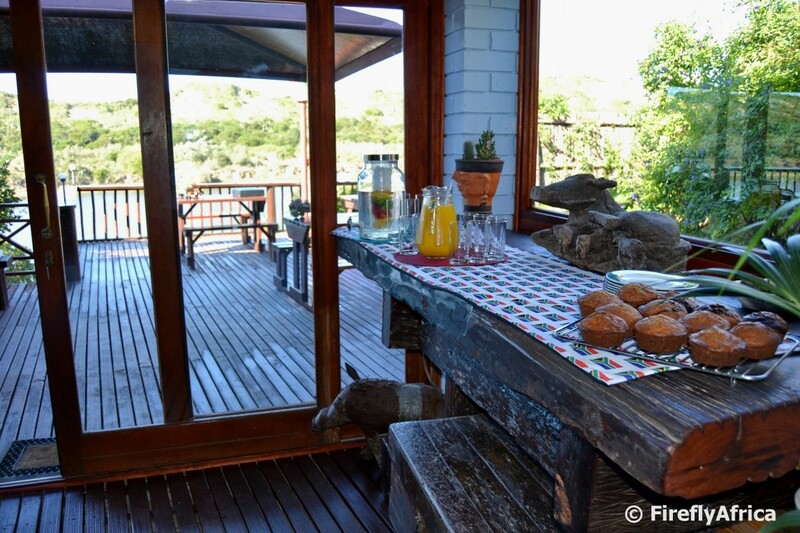 Best of all, the weather was perfect and we could have our meeting on the deck overlooking the river. Yes, that's the deck in the back of the picture with the river just below. 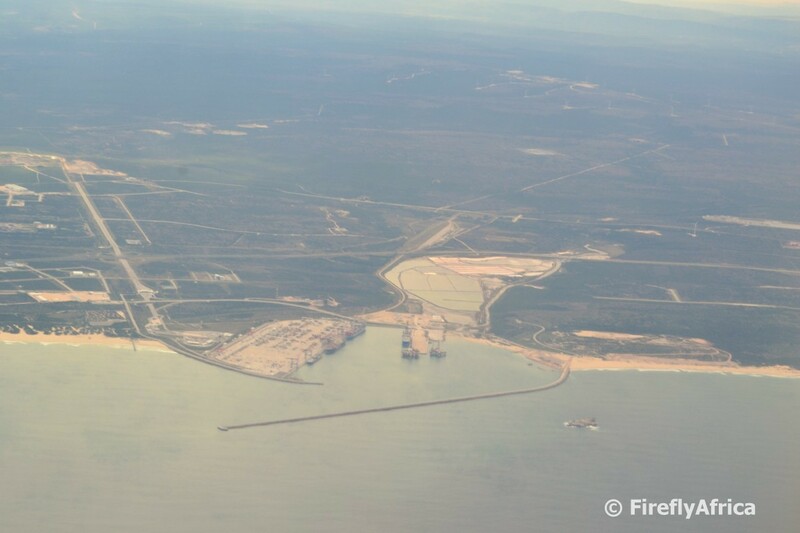 It is sad to see all the unused railway infrastructure around Port Elizabeth either on the harbour, around Humewood or next to the Settlers Freeway. After a lunchtime event at This is Eat on the harbour I grabbed the camera for a couple of photos before heading back to the office. Today's photo is just proof that I don't always gallivant around town on my own but sometimes take the family along to explore with me. 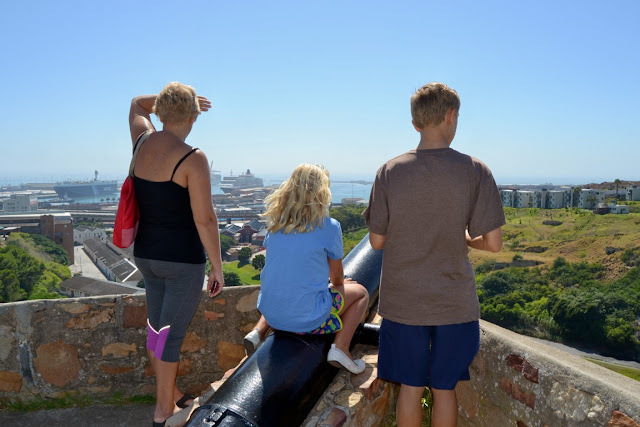 It's also proof that you can take your family to historic spots like Fort Frederick without having to fear for your life, like so many want others to believe. About a week ago I saw a clip on Facebook where the "Living in PE" song was performed on Morning Espresso on SABC 3. I really wanted to share the clip with you, but... you guessed it, I can't rememeber where I saw it. So in it's place I am reposting the original Jannie and Baksteen music video. I have posted it before but this song is so bad that it is good and I promise you the tune will be stuck in your head for the rest of the day. PS, if you come across the Espresso clip somewhere, please let me know. 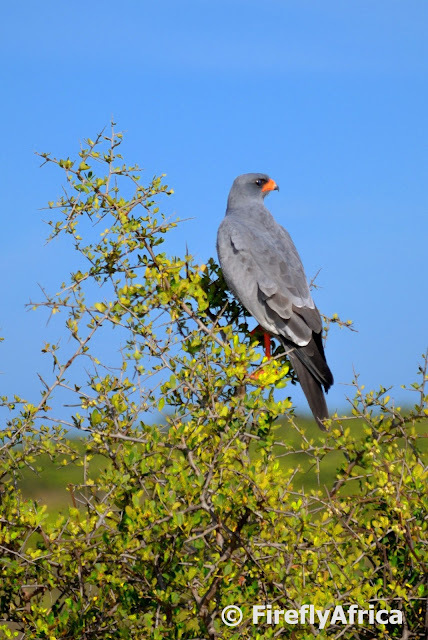 One of my favorite birds to see in the Addo Elephant National Park is the Pale Chanting Goshawk. You normally find them perched on a bush like this scanning the surrounding area for prey. 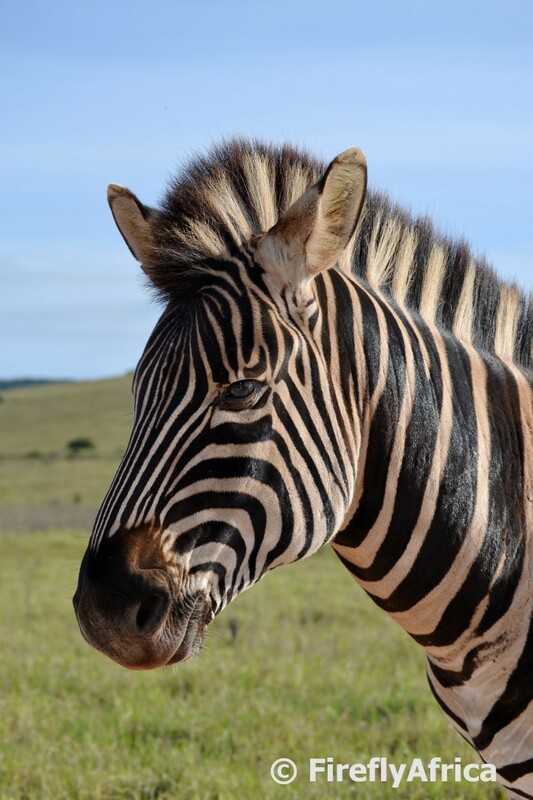 This male zebra seemed to have had a run-in with something and was standing in the road in Addo's southern section. He was probably feeling sorry for himself and nursed his wounds and standing in the middle of the road meant he could see any approaching predator coming a long way away. It also meant though that I got to stop right next to him and get a closeup portrait shot. One of the best parts of winter is the fact that the sun comes up later which gives us a much better chance to see a sunrise than in summer. This morning Elzabe Boshoff was down at Pipe (at Pollok Beach) at sunrise and snapped this breathtaking photo of sunrise. Wow! What a way to start the day! Thanks for allowing me to share this photo Elzabe. 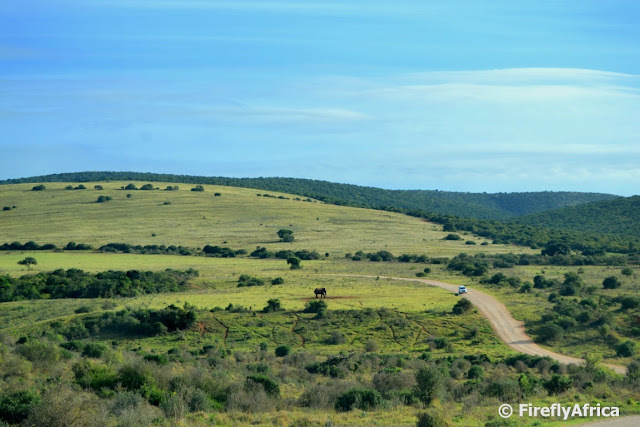 My quick trip through Addo last week didn't produce a big amount of elephants as usual. I did get three separate Cape Buffalo sightings. 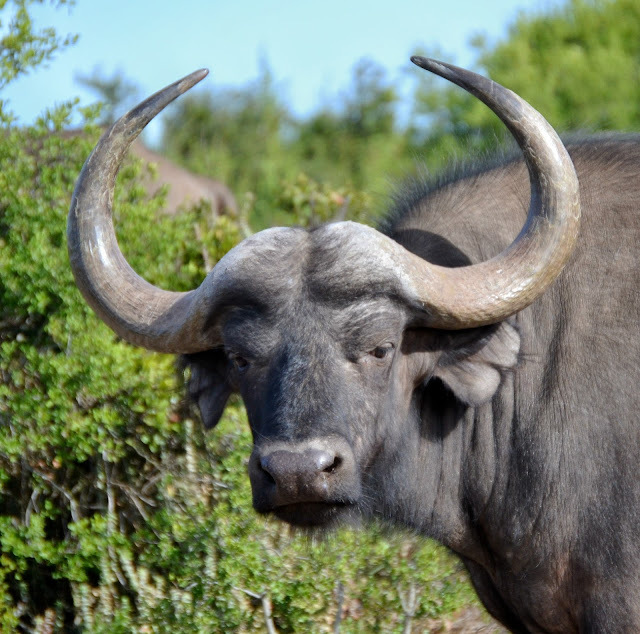 When I started working as a tourist guide 18 years ago the Cape Buffalo sightings were very few and far apart. The Addo buffalo was basically nocturnal due to the hunting of big game that took place a hundred years earlier which lead to the buffalo starting to hide during the day and only coming out at night. 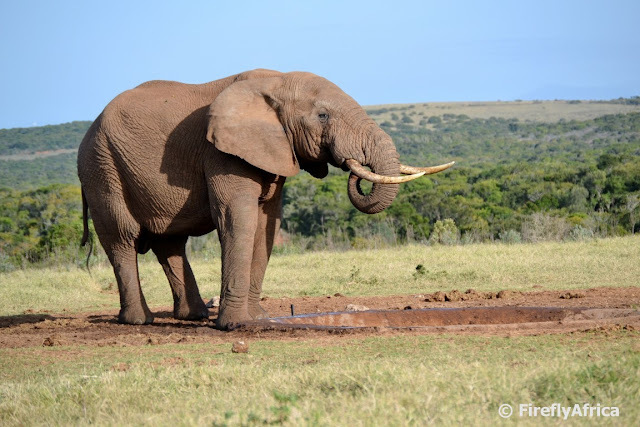 This all changed when Addo introduced lions into the park and the buffalo's' behavior literally took a 180 degree turnabout. 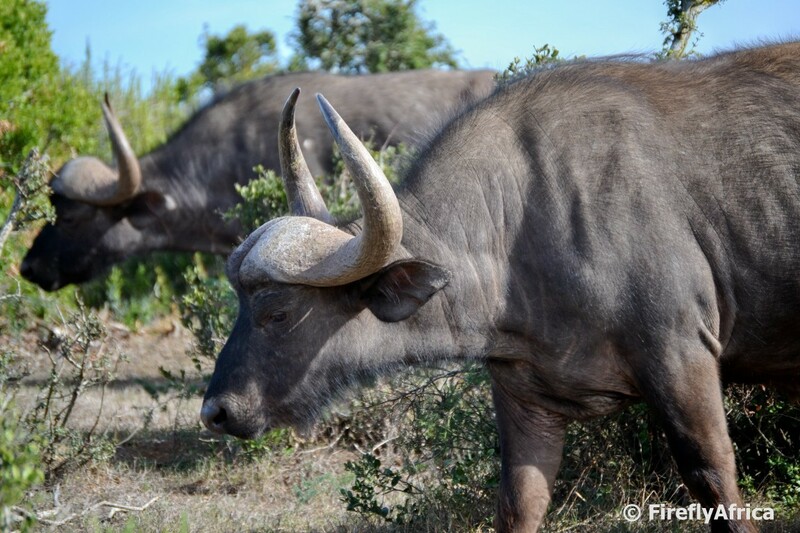 What makes the Cape Buffalo in Addo so unique is the fact that they are disease free. The majority of buffalo throughout South Africa suffer from bovine tuberculosis (BTB) so buffalo from a place like Addo is regarded as Black Gold and is very sought after at game auctions. I was invited to the launch of the SPAR Kirkwood Wildsfees at the Addo Elephant National Park main camp yesterday and decided to take the scenic route through the park from Colchester. Back when I was a tourist guide I used to visit the park as often as 5 or 6 times a week at one stage. These days I don't get to visit nearly enough and is probably lucky if I get the time to visit once or twice a year. An absolute crying shame if you ask me. Even though I only had about 2 hours in the park it was enough to wet my whistle for another longer visit soon. Just got to find the time though. I was looking for a video to post for today's Video Friday post and found a little bit of nostalgia for me. 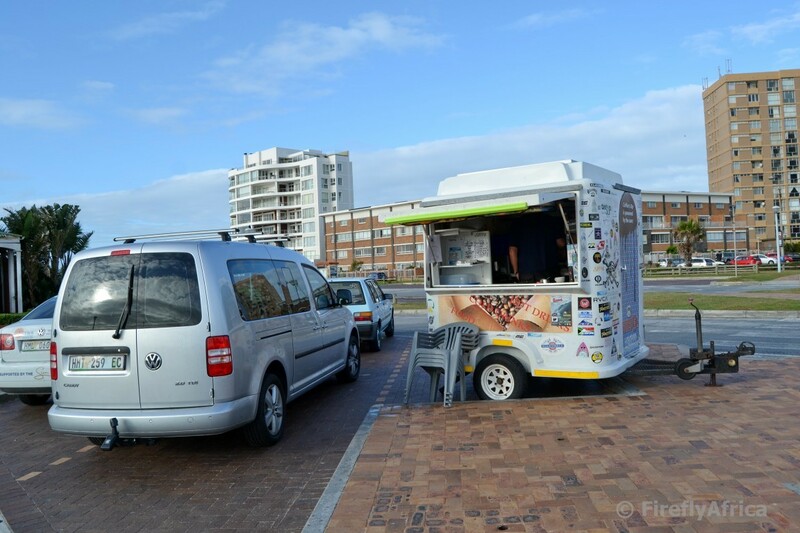 I worked for Nelson Mandela Bay Tourism from 2008 to 2014 and when I started there this video was the destination marketing video used to promote the city. I think it dates back to probably 2006 which means it's about 10 years old. It was replaced by a newer video in 2010 but it's distinct music will always stick with me. Heading home after work this afternoon I just realised again how quickly winter is approaching. Other than the chill in the air the biggest indicator is the sun. In summer it goes down after 7:30pm but this time of year it heads to the horizon not long after five. So this afternoon I got to snap a pic with my new phone that I've wanted to take for years now. 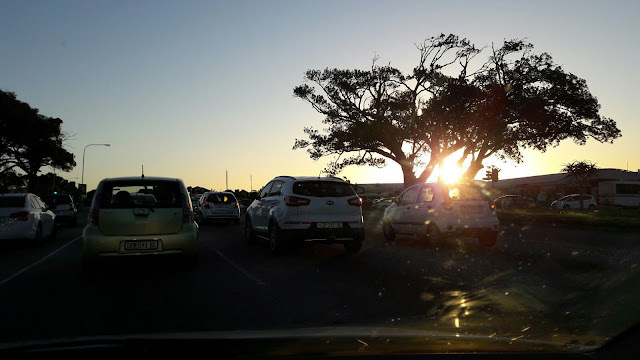 The sun behind the Fig Tree on the corner of Main Road Walmer and William Moffet just as the light turned green and the guy next to me moved enough not to block the tree. 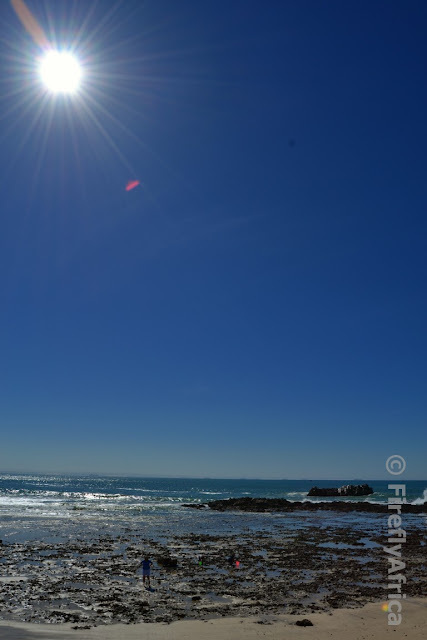 A panorama (of some sorts) of the beachfront looking from Lovers Lane back towards Hobie Beach and Shark Rock Pier with the city in the background. 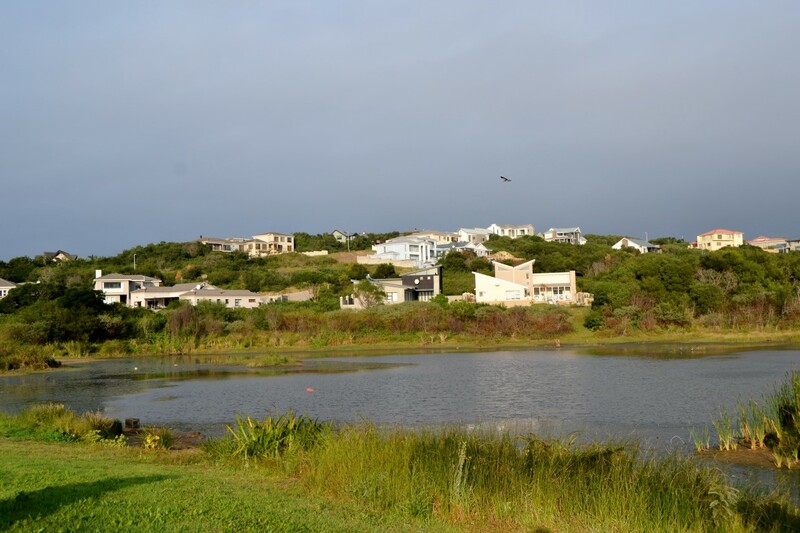 If you enjoy photographing birds and is looking for a nice urban location around Port Elizabeth to do so then you don't need to look any further than Lovemore Lake at the bottom of Boundary Lane in Mount Pleasant. Every time I pass there I'm amazed at the amount of different birds around. On Saturday morning I passed there and noticed a number of them including what looked like a Goliath Heron. 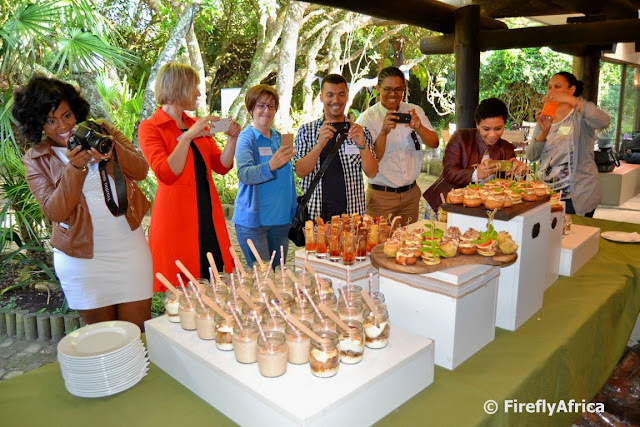 Three weeks ago the Damselfly and I flew to Durban for a weekend in Umhlanga courtesy of the InterContinental Hotels Group and Holiday Inn Express Umhlanga. 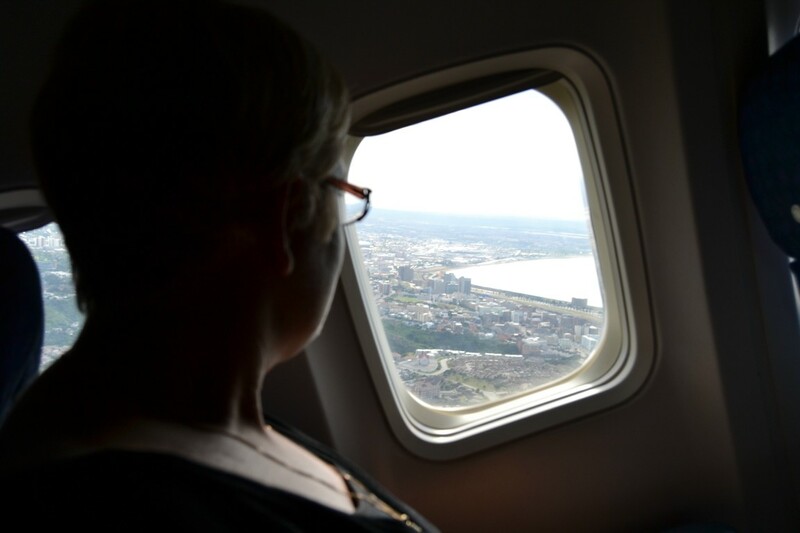 Here the Damselfly looks out over PE through the plane window after we took off. Ah, but we really live in a beautiful city doesn't matter what angle you look at it. 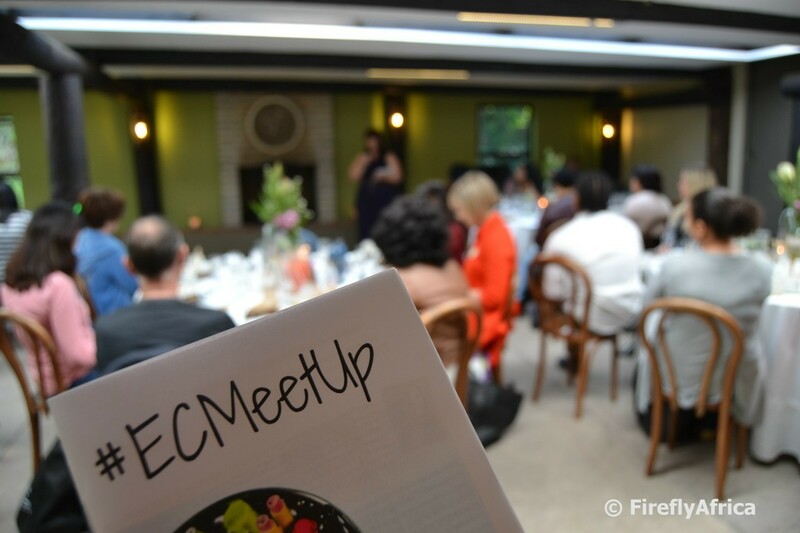 This morning the first (of I'm sure many more) Eastern Cape Bloggers Meetup - #ECMeetUp - took place at The Boma on Sardinia Bay Road. About 30 bloggers - including travel, mommy, fashion, lifestyle, girly stuff, guy stuff and hair & makeup bloggers and more - and journo's got together for lots of good company, informative talks, excellent food and just plain and simply getting to know people you only know online. 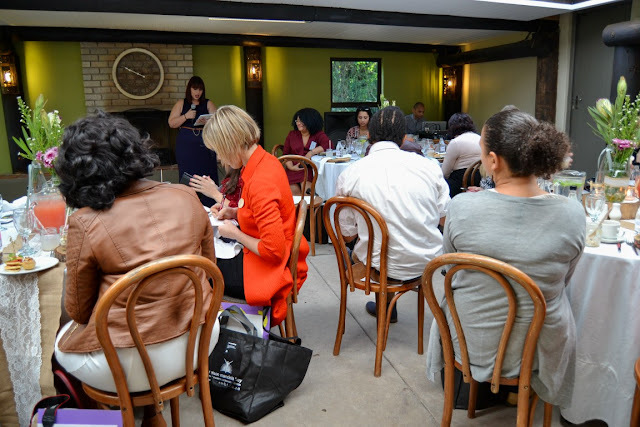 The event was organised by Eleanor Douglas-Meyers of Just Ella Bella and Luchae Willaims of My Spreadsheet Brain and featured talks by Megan Kelly Botha of By Megan Kelly and Dorette de Swardt who runs websites and social media for a print media house. 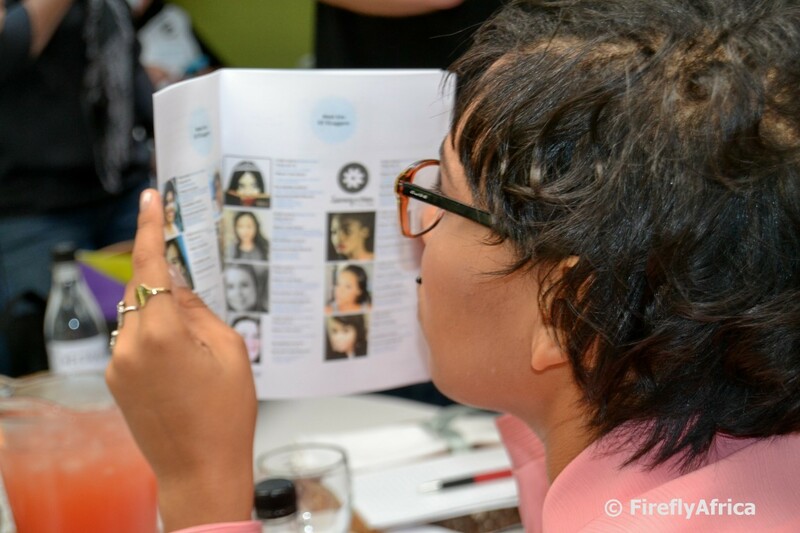 Mo-aasha Ismail of Mo Firefly Photography made sure everybody got a head and shoulders photo taken for them to use on their social media channels. 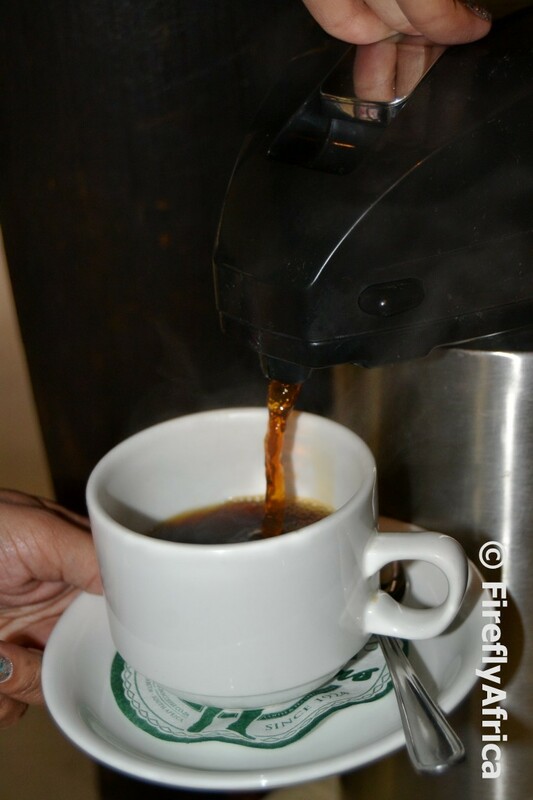 What is a breakfast event without coffee? Mastertons Coffee to boot. Not just did the name badges come in handy to identify everybody, but Elle and Lu put together a booklet with everybody attending's details and social media links. 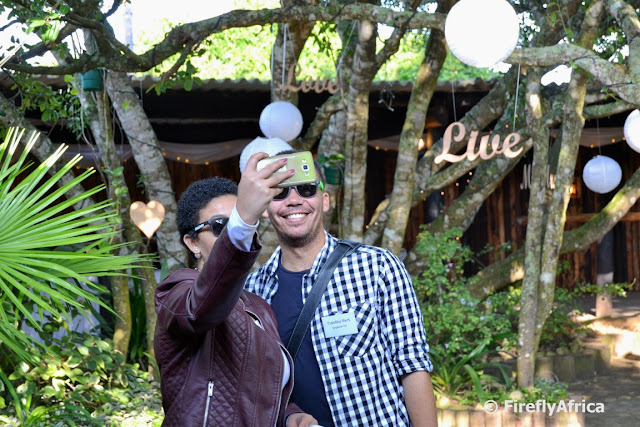 who isn't just the owners of The Boma but also blogs over at Chasing the Rainbow, was out of this world. 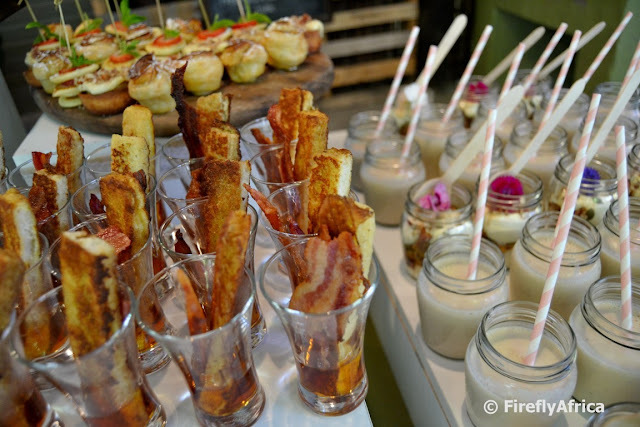 We started out with Canapes which wasn't just a can-of-peas like I initially thought. It was anything but peas. I'm not a drinker so don't do shots, but today I discovered shots I'm willing to do any time. 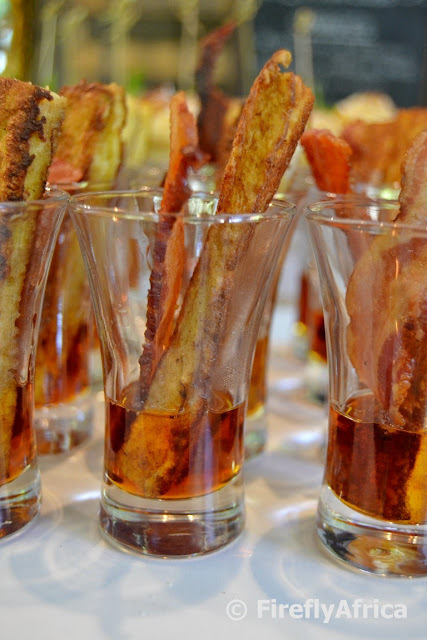 French toast and crispy bacon syrup shots. Ladies and Gentlemen... WE HAVE A WINNER!!! 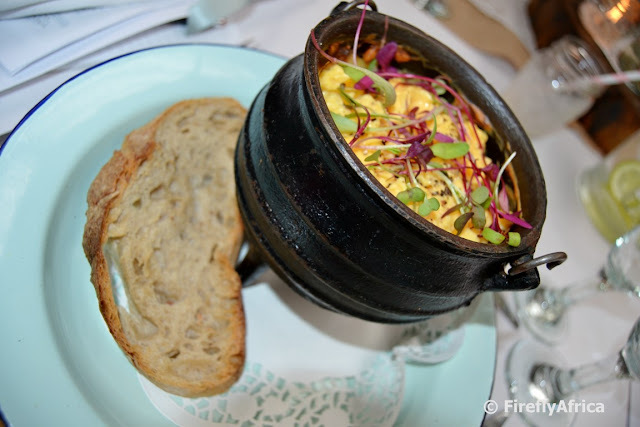 Did I mention that the food looked so good that everybody stood taking photos of it and nearly forgot to actually eat? 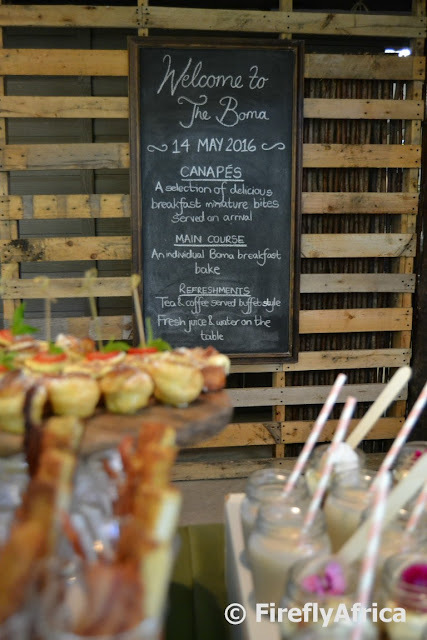 After stuffing ourselves on what was not a can-of-peas, the main breakfast of individual Boma Breakfast Bakes came out. Yum yum yummy yum. Lots of selfies. Plus bulging goody bags and lots and lots of prizes. 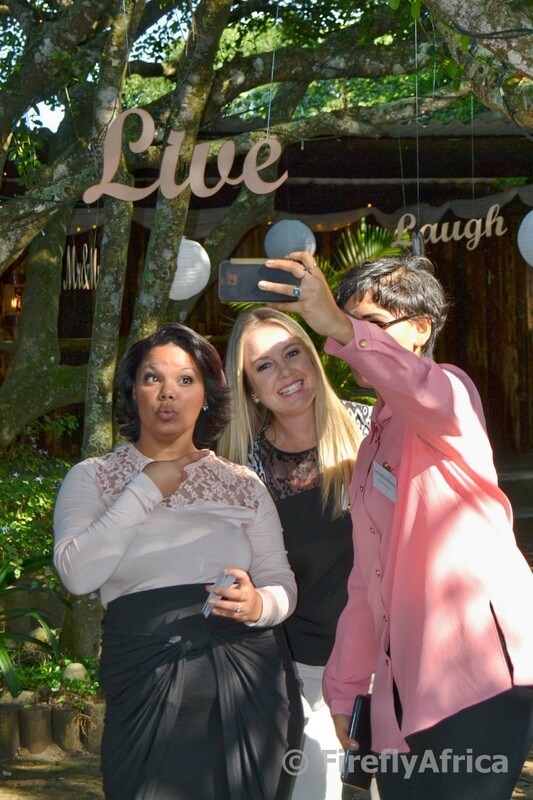 Elle and Lu really set the bar high for a first event. I can't wait for the next one. I was looking for a video to share for this week's Video Friday and came across this video by Mark Rose-Christie of the Mystery Ghost Bus of South Africa featuring a selection of Port Elizabeth's haunted venues. Spooky stuff and many well known PE places. I'm not a surfer nor have I ever tried to surf. Not that I wouldn't want to try, I just never had the opportunity. I don't get to stop down at Pipe that often so last week I pulled in to grab a photo or two. Parked in the parking lot is a coffee trailer which I bet does a roaring trade when the guys come out the water all wet and cold. I wanted to get a photo and chat to the guy a little bit to get some info to post here, but wow! 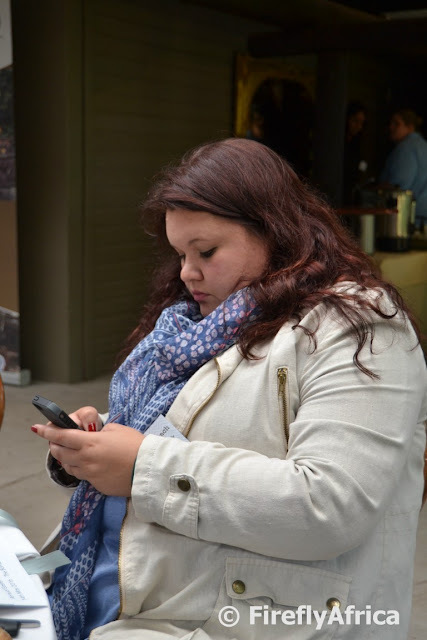 What a grumpy oke! He's coffee must be good cause he's definitely not pulling the clientele with his sparkling personality. He grunted a yes when I asked if it's ok to snap a picture and then got up from behind his counter and turned his back on me. Oh well, picture without any additional info on him it is then. 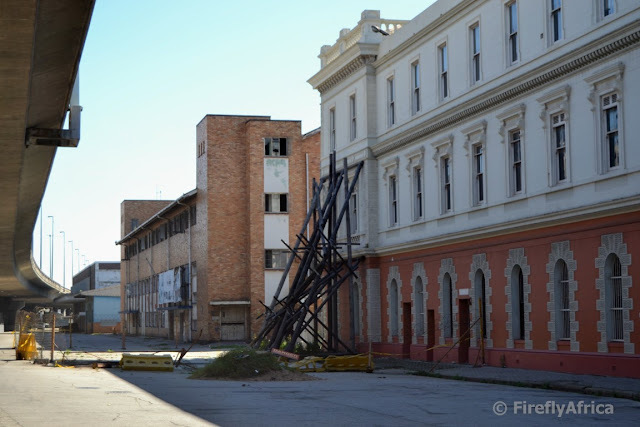 A few years ago (quite a few if I'm correct), the historic Port Elizabeth Railway Station was damaged in an underground gas explosion. The spot was cordoned off and the building "braced" with wooden poles. 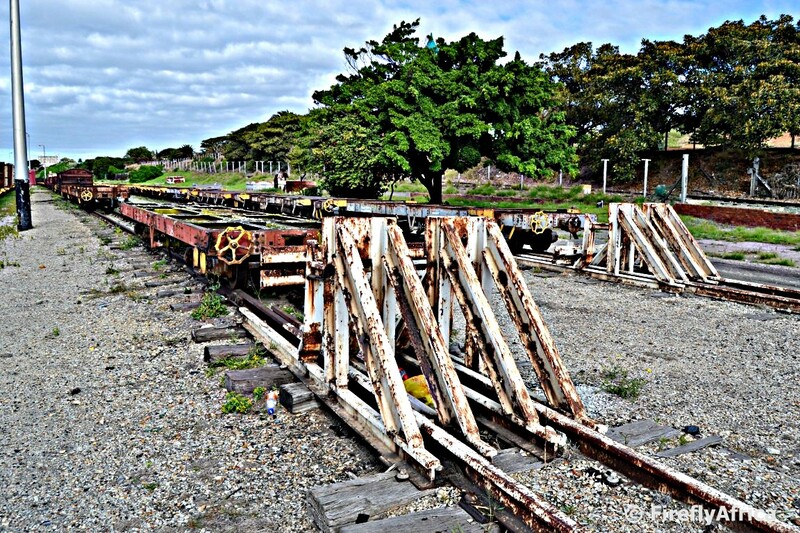 So sad that all this time later and Spoornet (Transnet) still haven't done anything to restore and fix the building. An absolute crying shame. 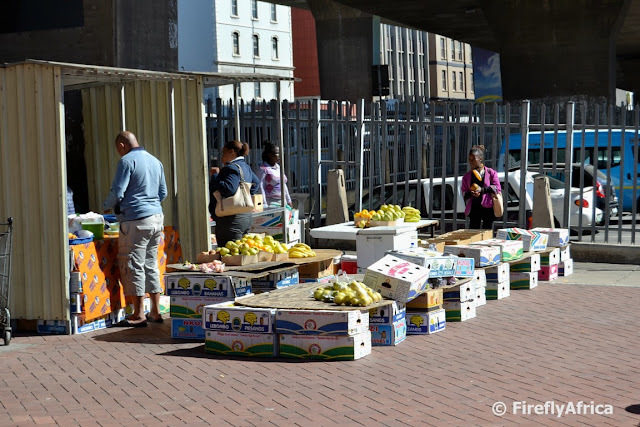 Not a lot of people from the 'burbs ever walk around much in downtown Port Elizabeth. I think I need to do it a bit more as there are a lot interesting things to see and photograph. Waiting around the Campanile for the bells to be lowered a week ago, I noticed a vendor selling fruit, snacks and cold drinks nearby. I didn't have time to go and have a closer look, but I did snap a pic from a distance. I admire people like this who show their entrepreneurial spirit under tough circumstances and work long hours for often very little money so that they can provide for their families. Last week we had some big swells around. So big that a cruise ship had to dock in PE for a while due to a bit of damage it picked up after swellsflooded one of its decks. Driving along Marine Drive I always look towards Bird Rock. Probably because I have a Geocache located on it and it just draws my eye. 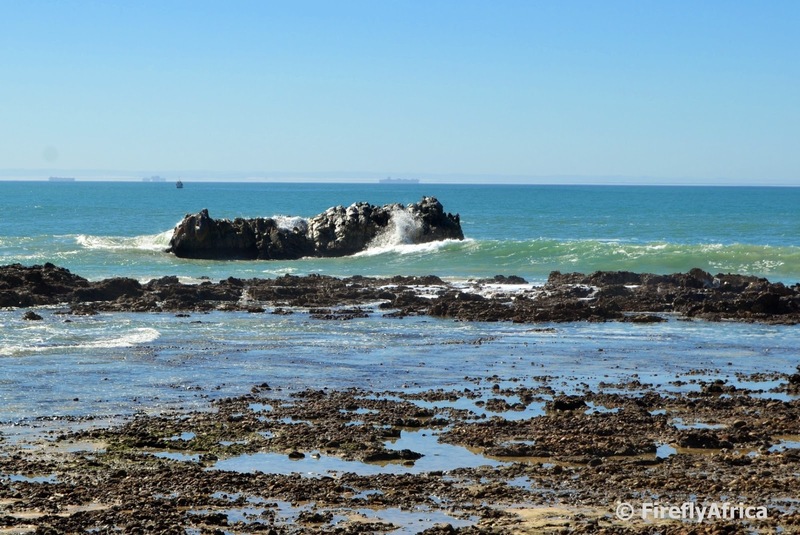 It was low tide but the swell washing against the back of the rock was washing over it. Did I see right? I took a drive and parked on Lovers Lane for a look and my eyes didn't deceive me. 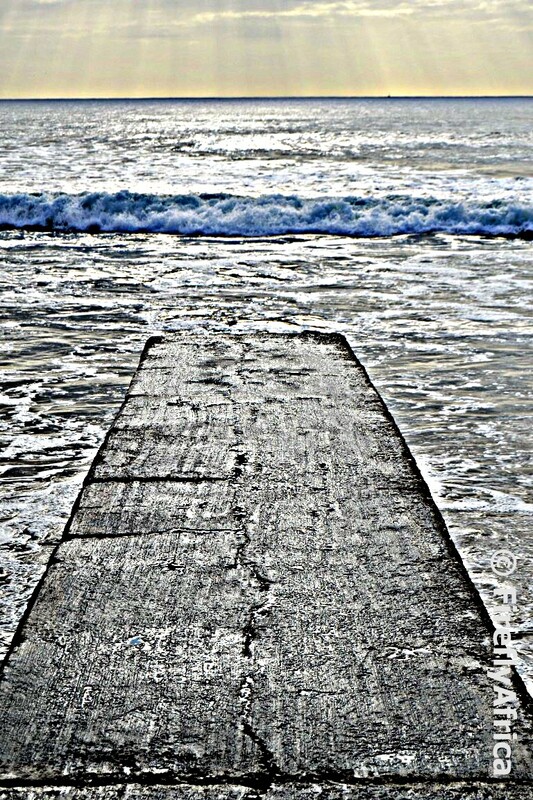 The waves was pushing over it. I hope my cache container is still in place. Last week when I popped down to the Campanile to take some photos of the bells, I also took a photo of Strand Street where it runs under the freeways. Don't think it's anybody's favorite part of town what with being covered by the freeways, having a bad reputation dating back some time for crime and having taxi's race up and down the whole time. What does get me though is the 2010 FIFA World Cup branding that is still up on the pillars. 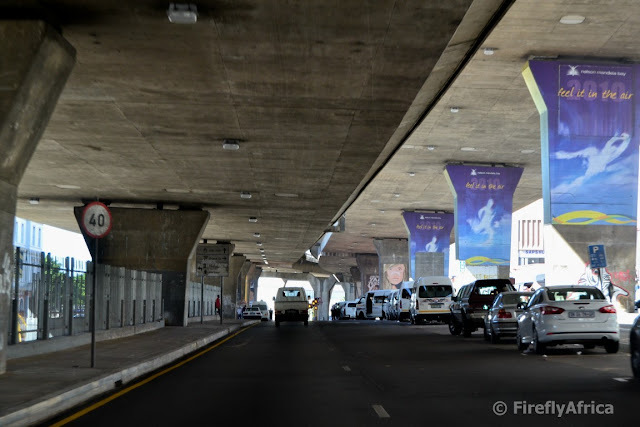 I think the municipality and the MBDA is missing a trick by not getting graffiti artists to decorate the pillars under the freeway like what has happened in Newtown in Jozi. It could make the area quite a popular spot for urban tourists and photographers. Pipe at Pollok each is probably Port Elizabeth's best known and most popular surf spot. But have you eve wondered where Pipe got it's name from? The perfect barrel (like a pipe) to surf? Piping hot waves? Waves piping in one after another? (Is there even a saying like that?) Nope, it's very simple. There is a storm water pipe covered in concrete that flows out in the sea at the surf spot and right in the middle of the break at high tide. Bang! There you have it. Not a lot of imagination used in naming this one like most of the other surf spots around town. I really like the description of Pipe that is on the Miller's Local website. 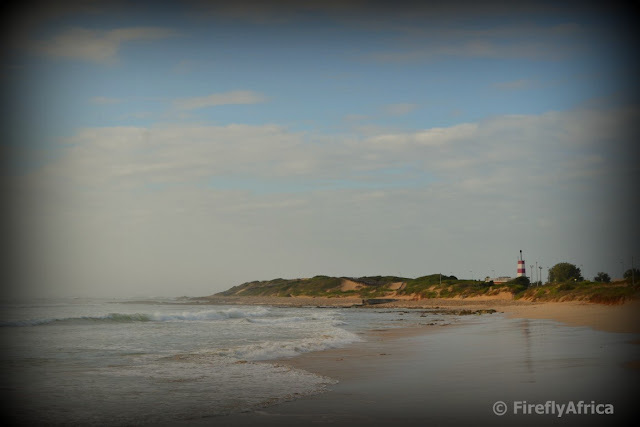 PE's most consistent spot that handles most tides, all swell directions and picks up any sniff of swell around. Mostly mediocre, but can get good, and on occasion great. Where you'll find most of PE's hot surfers lurking about, splitting the peaks and dodging the crowds of learners, boogers, paddleskiers, SUP's, malibu's, surf ski's, and pretty much anything else that floats! The King's Beach Skateboarding Crew jointed the Port Elizabeth Instagram community for a fun couple of hours out in the city center a Sunday or two ago. Other than a whole bunch of Instagram pictures being taken, the skateboarders also filmed their own video which I'm sharing with you today. 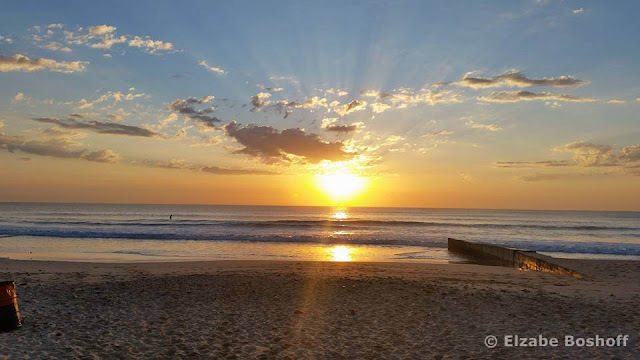 I think people are so used to Kings Beach, Humewood and Hobie that they often forget how awesome a beach Pollok Beach is. It is a dangerous beach to swim at when the lifeguards aren't on duty, but it's great for a walk, to watch the surfers and dolphins or to splash around with the kids in the tidal pool by the gap in the rocks in front of Something Good. One of the things are enjoy most about winter is those crisp clear days. They just make for much better photos than hot summer days. 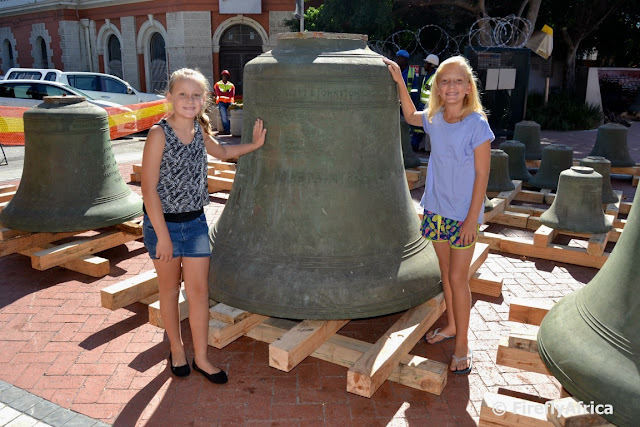 The Campanile, wedged between the Port Elizabeth Railway Station, the PE Harbour and the Settlers Freeway, was built to celebrate the centenary of the landing of the British Settlers in 1820. The tower was built on the landing beach where the Settlers came ashore with the foundation stone being laid in 1921. It was officially opened in 1923, the clock was installed in 1925 (started at noon on 28 April of that year) and the bells hung in 1936. 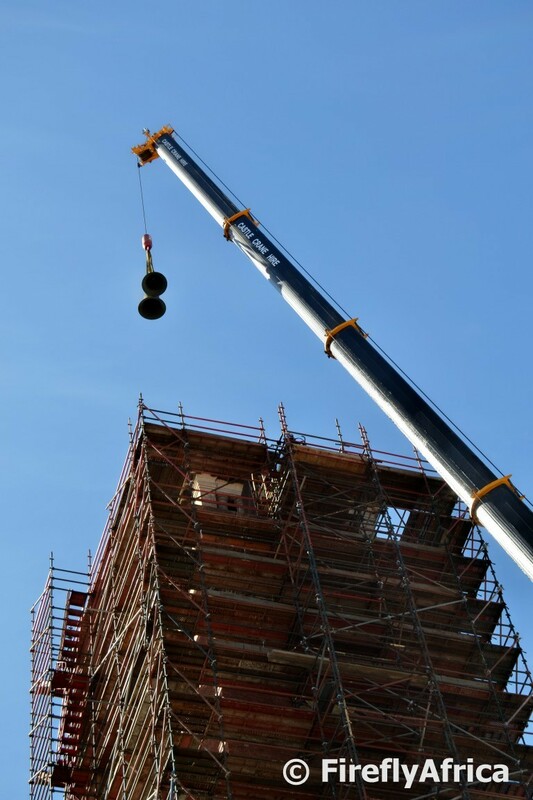 The Then photo shows one of the carillon of 23 bells being hoisted up. 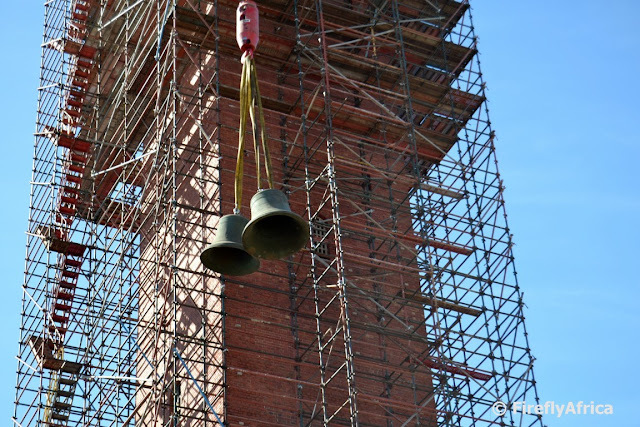 Now, 80 years later, the bells were removed from the Campanile for the first time to allow for restoration to the tower as well as the bells. 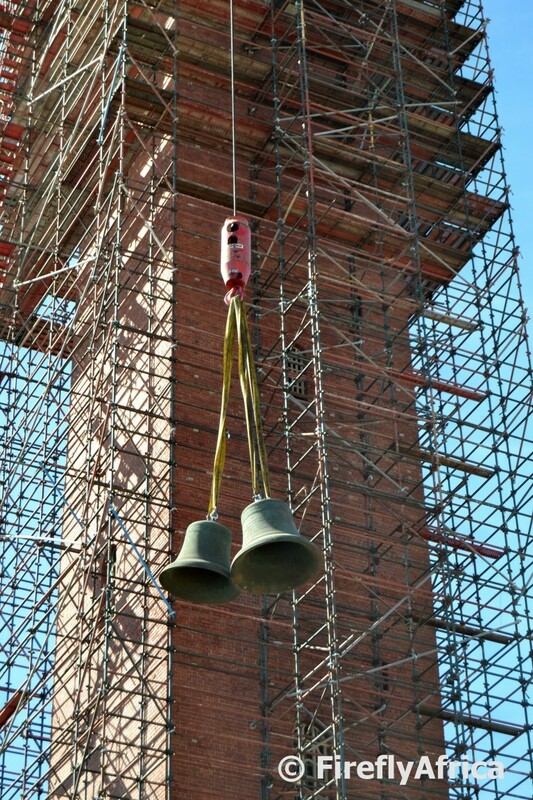 I was there when two of the bells got lowered and had the privilege to take photos of it happening. The Campanile was opened in 1923 with the bells installed in 1936. Although the bells have received renovations while in position, the tower has only had cosmetic work done over the years. Recently an inspection of the Campanile showed that the structure holding the bells was in a bad state and in need of urgent repairs. It meant that the bells has to be taken out to replace the structure in the tower's top. 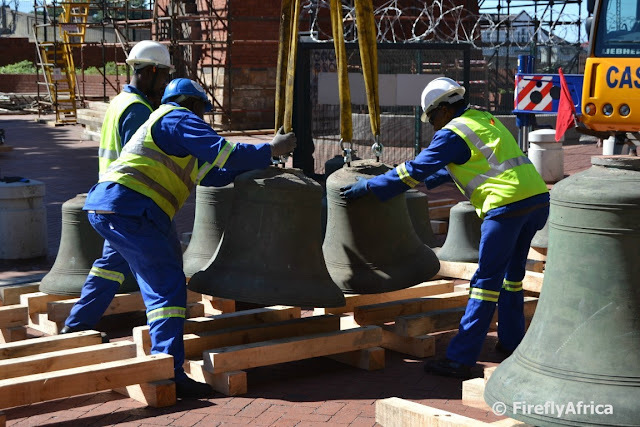 While admiring and taking photos of the bells that has been taken down already, I asked the foreman how many bells still had to come down. There was still five bells in place and two was about to be lowered. So rather than rush back to the office I hung around a little longer to see how it is done. The bells were hooked to the crane and lowered down into the hands of the waiting workers who carefully placed them on the beams to keep them off the ground. 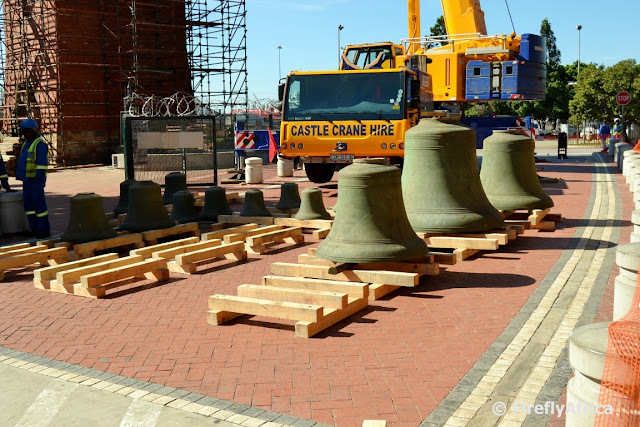 On Tuesday morning I noticed a post on Facebook where the Mandela Bay Development Agency (MBDA) announced that the Campanile bells would be coming down that morning, if the weather allowed, as part of the restoration of the Campanile building. I was stuck in a workshop and very disappointed that I was going to miss it. On Thursday morning one of my friends at Nelson Mandela Bay Tourism called me having just heard that the most of the bells were on the ground. Clearly they didn't come down on Tuesday which meant lady luck was smiling on me. Drama Princess and her friend DDJ were at work with me so I grabbed my camera and dragged the girls off for a chance of a lifetime to see these magnificent bells up close. On arrival we found most of the bells on wooden pallets behind a barrier while the crane staff was waiting for the next two bells to be hooked on to be lowered. The foreman noticed me taking photos and came over. I thought he was going to tell me to step back from the barrier and big was my surprise when he started sharing information on the bells with us. Some of it I knew, but quite a lot I didn't. 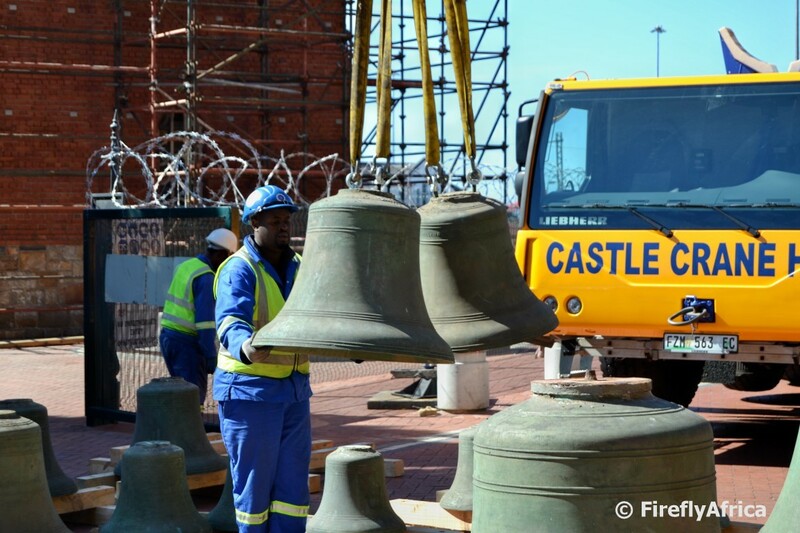 The Campanile has a carillon of 23 bells which is the biggest collection of bells in a clock tower in South Africa. 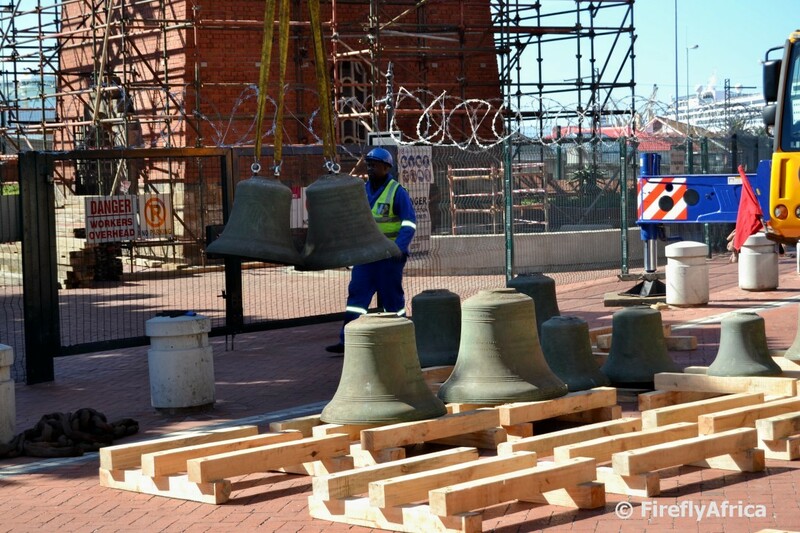 By the time we got there the biggest bell had already been taken away while there were still 5 that had to be lowered. I asked if I could take a picture of the girls with the bell and he said yes. "YES!" I thought. The girls hopped over the barrier and went to stand next to the Campanile's second biggest bell. "Touch it'" he said. "You'll never get the chance again." 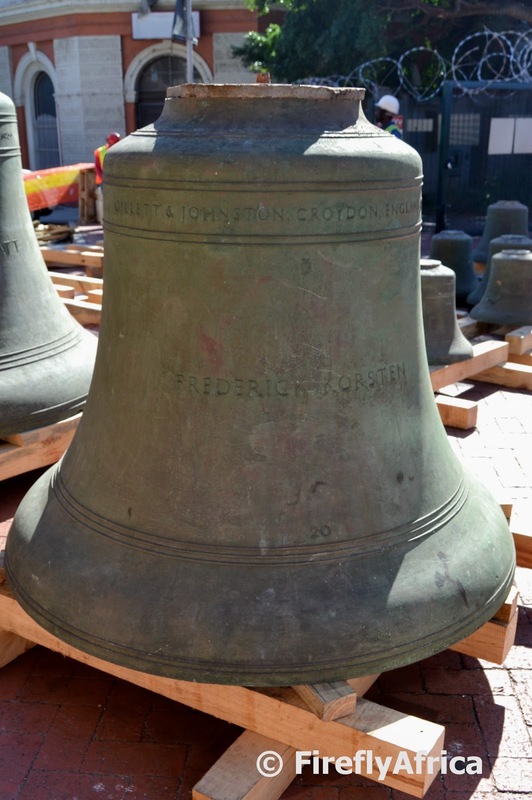 The bell, named after Frederick Korsten, weighs 2,5 tons. Apparently the biggest one weighs 3,5 tons. Man, how I wish I got there a bit earlier. I asked the guy what the smaller ones weigh and he answered that they ranged in weight down to about 170 kg for the smallest one. 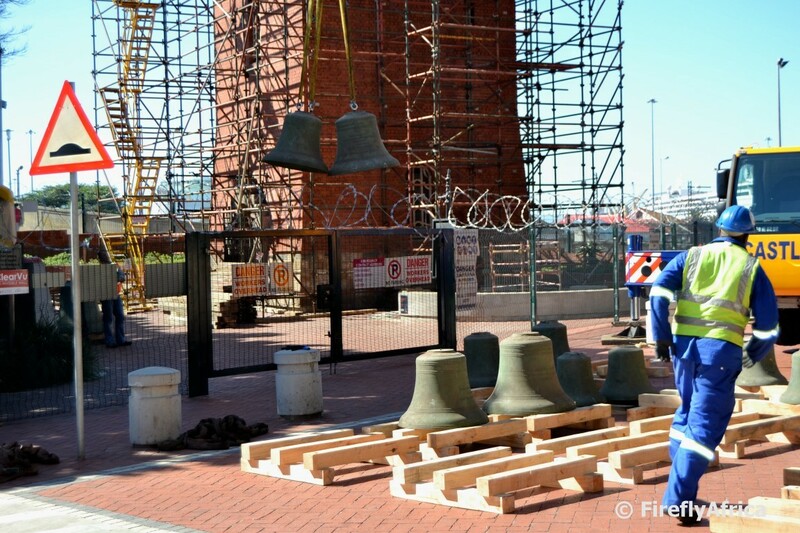 Each one of the bells has a number (1 - 23) and is inscribed as per the wishes of the individual donor/s. 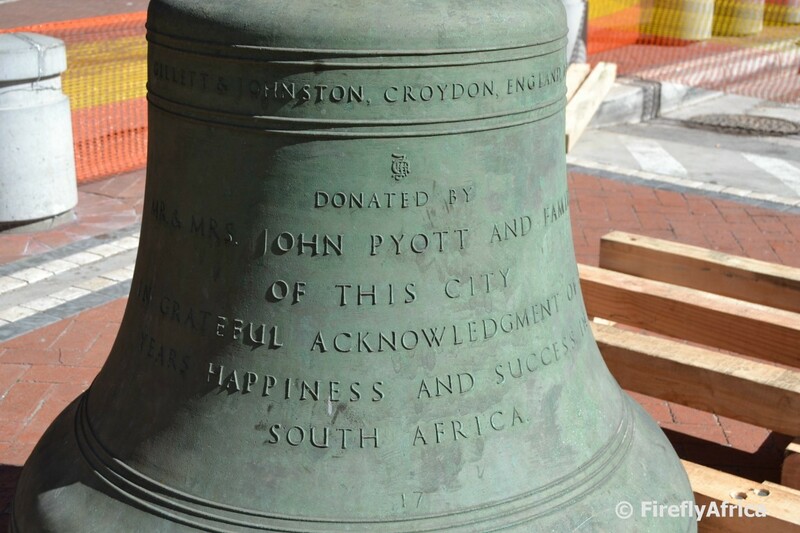 It seems the three biggest bells don't have donation details on them but rather just the names of the prominent Port Elizabeth people they were dedicated to. In the case of the two that were still there it was Frederick Korsten and Captain Francis Evatt. 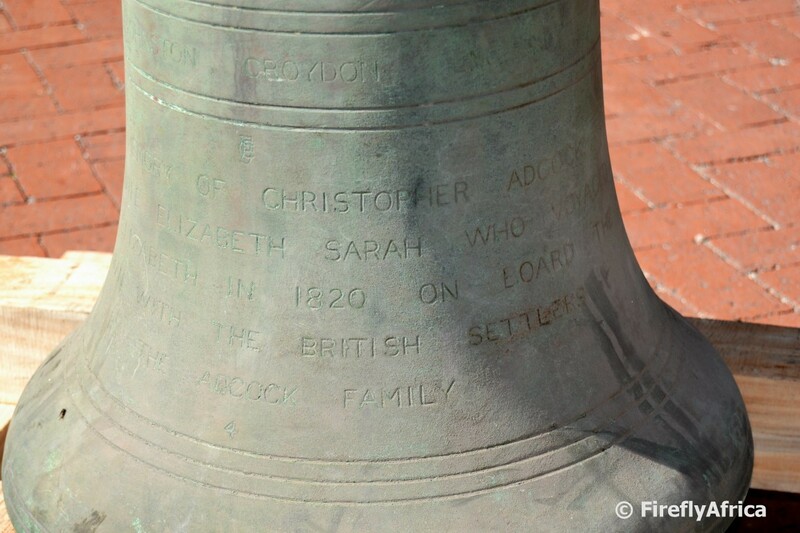 In the case of this specific bell, it was dedicated by the Adcock Family to the Adcocks who came across to Algoa Bay with the 1820 British Settlers. 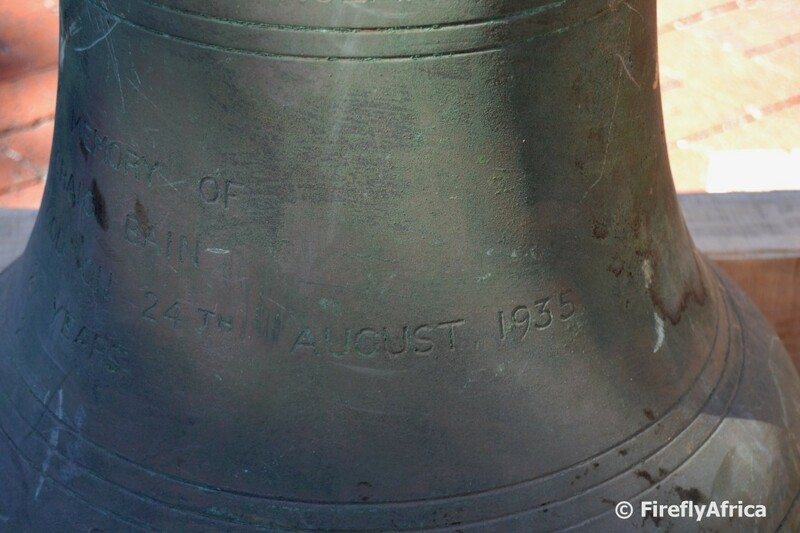 Although the MBDA's media release stated that the bells were installed in 1932, I noticed a date of 24 August 1935 on one of the bells. I decided to have a look in Margaret Harradine's Port Elizabeth book, my bible for anything historic in the city. It states that the Campanile's foundation stone was laid in 1921 and it was officially opened in 1923. The clock was installed in 1925 and started at noon on 28 April of that year. It doesn't give the exact date of when they were hung but it does state that on 9 September 1936 crowds gathered to hear the first recital of the newly hung carillon of bells. An interesting thing I never knew was that the bells were originally intended as a civic expression of gratitude for the reign of King George V who died earlier that year. The book also states that the inscriptions on the bells can be seen in the Campanile (probably on the ground floor) so after the Campanile reopens I'm definitely going to go and look that up. 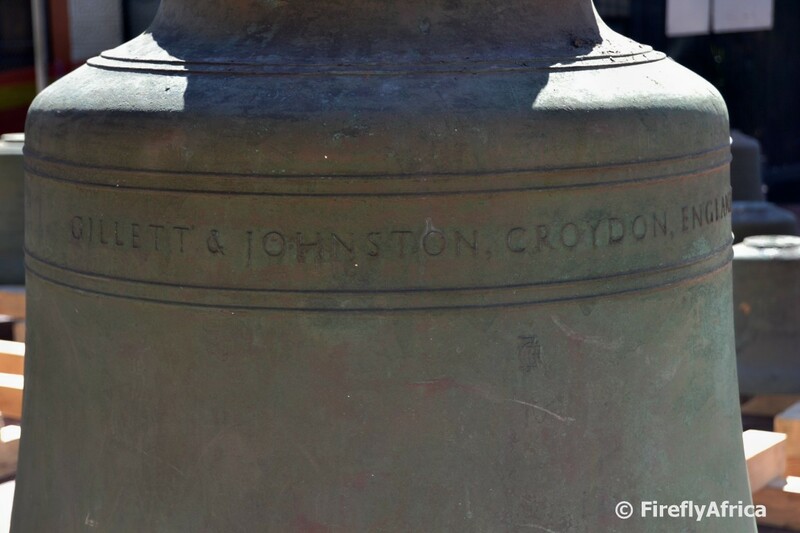 At the top of each bell is the inscription, Gillett & Johnston, Croydon, England. Gillett & Johnston was a clock maker and bell foundry based in Croydon, England from 1844 until 1957. 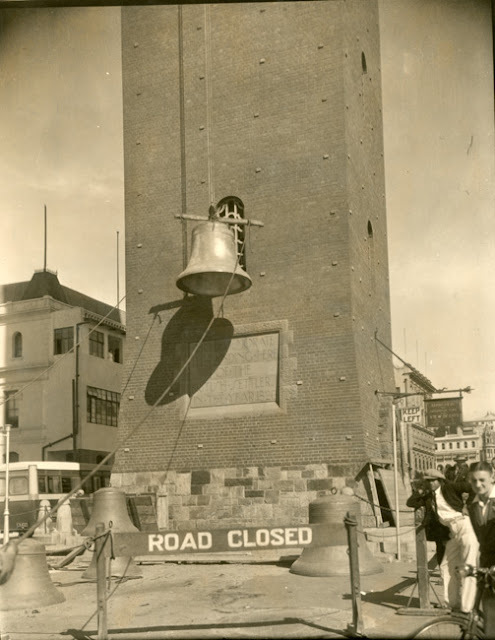 Between 1844 and 1950, over 14 000 tower clocks were made at the works, among them the 23 Campanile bells, with many important bells and carillons for sites across Britain and around the world coming from here. We had to hang around for about 20 minutes or so but I got to take a few photos of the next set of bells being lowered. That post will follow tomorrow so stay tuned.